He was born in 1910 in Village Sanghori, District Rawalpindi. He was commissioned into the Punjab Regiment, in 1944. 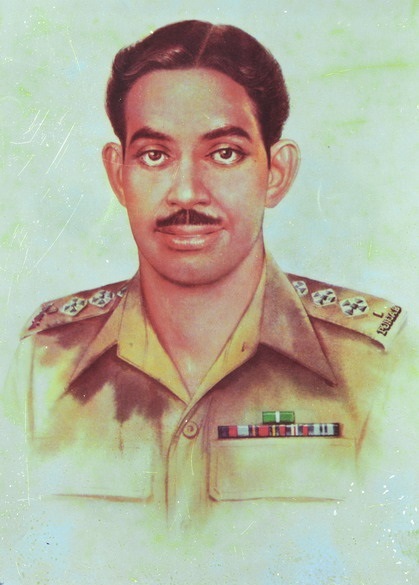 During the Kashmir Operations soon after the birth of Pakistan, as a Company Commander in the 2nd Battalion of the Punjab Regiment, Captain Muhammad Sarwar launched an attack causing heavy casualties against a strongly fortified enemy position in the Uri Sector under heavy machine-gun, grenade and mortar fire. But on 27 July 1948, as he moved forward with six of his men to cut their way through a barbed wire barrier, he got martyrdom when his chest was hit by a burst of automatic fire.